Is Easter early this year or am I just late? Somehow I missed the last month, the month I typically spend gathering craft supplies, reading great Easter stories, and searching for new creative ways to make Easter fun and fresh and most of all Christ-centered for my kids. I wanted to gather my favorites over the last 15 years and put them together for you here. I wanted to make it easy for you to make Easter special in your home, but somehow life got in the way. It does that sometimes. Maybe if I start now I’ll be ready next year :-). Still, Easter is important to me. So, I’m going to do my best to carve out a few new memories between now and Sunday and maybe you can find a sliver of each day to join us. 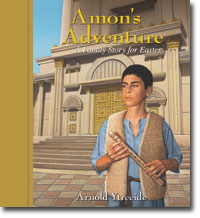 We’ve been reading Amon’s Adventure A Family Story for Easter by Arnold Ytreeide, so we’ll continue reading a chapter a day and finish Easter night. I love this author and all of his books. They are captivating stories that younger ones can enjoy and yet delve deeply into spiritual truths. We’ll finish ours Easter day, but it’s okay to start now and finish when you can. 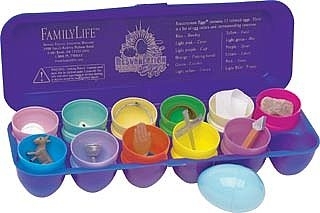 Resurrection Eggs are a must in our home. I love this activity that can be used with or without the book, Benjamin’s Box by Melody Carlson. One by one, the eggs tell the events leading up to the crucifixion and it all ends with an empty “tomb”. Crafts, crafts and more crafts from http://www.orientaltrading.com. These are inexpensive to buy, but can also be used as ideas to make your own. We haven’t gotten to this yet, but we will by Sunday and my little girls will tell me how awesome I am. Well that’s it this year. We haven’t done anything earth-shaking yet and likely won’t. We haven’t made a crown of thorns or constructed a giant lighted cross. We haven’t even made our annual tissue paper cross to hang in the window. Still, I’m sure my kids will survive an uneventful pre-Easter and we’ll all still love Jesus when it’s passed. In the end that’s what matters. All the activity is fun, but if we make a crazy dash to create the perfect Easter but forget how to look like Jesus in the process then what have we accomplished but hollow religion? And who says we can’t have a cross cake and make resurrection cookies next month or any other time of the year? Happy Easter dear sisters and may you find Him in all you do. 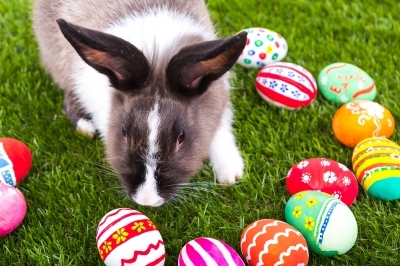 This entry was posted in Children, Faith, Family, Holidays and tagged Christ, crafts, Easter, Easter for children, eggs, faith, family, holidays, Jesus, resurrection by Rita Clucas. Bookmark the permalink. Wholehearted agreement. It’s easy to be hard on ourselves when we don’t get everything perfect. But if I have grace for others, why not with myself as well :-).